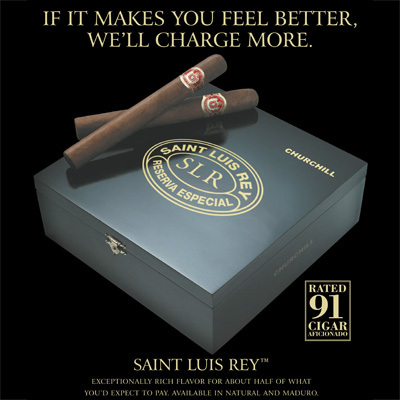 Handmade in Honduras, Saint Luis Rey cigars attain their renowned full flavor and aroma through a unique blend of Honduran, Nicaraguan, and Peruvian long filler tobaccos, complimented by a dark, rich Nicaraguan wrapper and binder. Saint Luis Rey Serie G - The "G" stands for "Gigante" because these babies pack a 54 ring or higher! 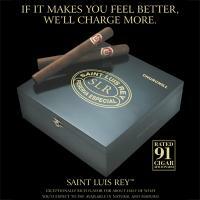 Saint Luis Rey Maduro - This cigar features the up and coming San Andrés Morrón wrapper.